Like many other ancient texts around the world, this ancient piece of evidence appears to tell an amazing story, one that could potentially change the way that we look at ourselves (past, present and the future), our history and the entire Universe! It’s believed that this ancient piece of documentation, which in fact isn’t a papyrus actually, offers the earliest proof ever of flying saucers on planet earth – The Tulli “papyrus” is a translation of a modern transcription of an ancient Egyptian document. The Pharaoh that ruled over Egypt was Thutmose III and according to this intriguing ancient text, this mass UFO sightings happened back in 1480 BC. At this time this incredible event was recorded in history as a day of significant importance – the day that something unexplainable and shocking occurred. “In the year 22, of the third month of winter, sixth hour of the day […] among the scribes of the House of Life it was found that a strange Fiery Disk was coming in the sky. It had no head. The breath of its mouth emitted a foul odour. Its body was one rod in length and one rod in width. It had no voice. It came toward His Majesty’s house. Their heart became confused through it, and they fell upon their bellies. They [went] to the king, to report it. His Majesty [ordered that] the scrolls [located] in the House of Life be consulted. His Majesty meditated on all these events which were now going on. After several days had passed, they became more numerous in the sky than ever. They shined in the sky more than the brightness of the sun, and extended to the limits of the four supports of heaven […] Powerful was the position of the Fiery Disks. This ancient old text was translated by many leading historians and scientists and is probably one of THE most important pieces of evidence of Ancient Aliens visiting earth – perhaps they have never actually left Earth? This simply amazing historical event was described as being silent, but with incredible views of mysterious flying disks highly reflective, shining like the sun. According to this ancient text, the departure of the otherworldly visitors was marked by a mysterious event, as fish rained down from the heaven, almost as if some kind of unknown force affected the surroundings! This ancient text clearly does not mention whether the ancient Egyptians did actually establish contact with these otherworldly Beings, but it is nonetheless an extremely important day in planet earths history – that is for both humanity and the ancient Egyptian Civilization at the time of this incredible event. One VERY important thing to remember is that the Ancient Egyptians were extremely experienced and rather gifted astronomers, and it was by the year 1500 B.C, that they were already experts in this field, which means that they would not have mistaken these “fiery disks” with some kind of strange astronomical or weather phenomena – they would have described an astronomical phenomena in a completely different way. It is also rather important to remember that in these ancient documents, the “fiery disks” are described very clearly as they changed directions in the skies above the people who witnessed them, so it is very clear that we know that these objects didn’t fall, but remained in the Egyptian Sky ~this is not normal for an astronomical event (obviously). ”The Papyrus Tulli not property of Vatican Museum. Now it is dispersed and no more traceable.” Said the VATICAN museum. It’s time to dig up the TRUTH from our past. U.I.P SUMMARY – It appears that the Vatican are trying to hide away and archive this extremely piece of evidence, hidden on purpose away from the people of planet earth, perhaps hidden away in a secret archive, but why? Could it be that this piece of important evidence is that incredible and life changing that the elite and the heads of the Catholic church are SCARED about what this PROOF could cause amongst the masses. 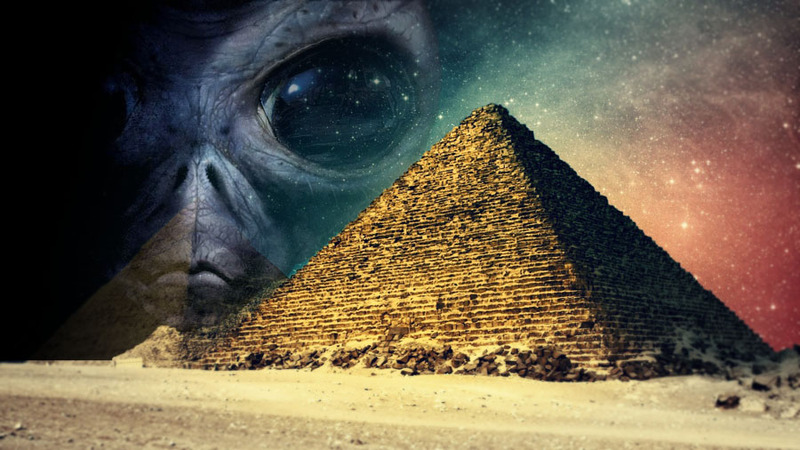 This could be one of the most important pieces of evidence ever, and this could actually prove that the ET’s influenced the ancient Egyptian civilization as many Ancient Astronaut theorists believe? It is literally criminal that our so-called leaders are trying to hide this from us, however it is also very clear that the world leaders out there are playing games and trying to make us believe what THEY want us to believe! THIS is such an important story and one that we can never ignore. SOME stupid world leaders LAUGH when the subject matter of ‘Aliens’ is raised – soon they will NOT be laughing, when the control starts slipping away from their hands and the TRUTH starts spilling out! The Pyramids are so important to all of our history, you can feel this just by looking at them and seeing the sheer amount of energy coming from them! The pyramids are to this day still a mystery, but a mystery that is soon about to be dragged out kicking and screaming!